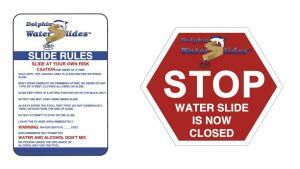 Residential Water Slides & Raintree Pool Series | Dolphin Waterslides, Inc.
You requested them, so we are now offering pool slide sign rules and stop signs for when you close your pool down for the season or just want to keep curious kids off the water slide at times. These signs are designed to keep costs down. The installation of the slide signs can vary, so the hole size and drilling location will be left up to you once decided where the sign/signs will go. For more info or to purchase one of these for your water slide, please reach out during the design process or contact us for more info. 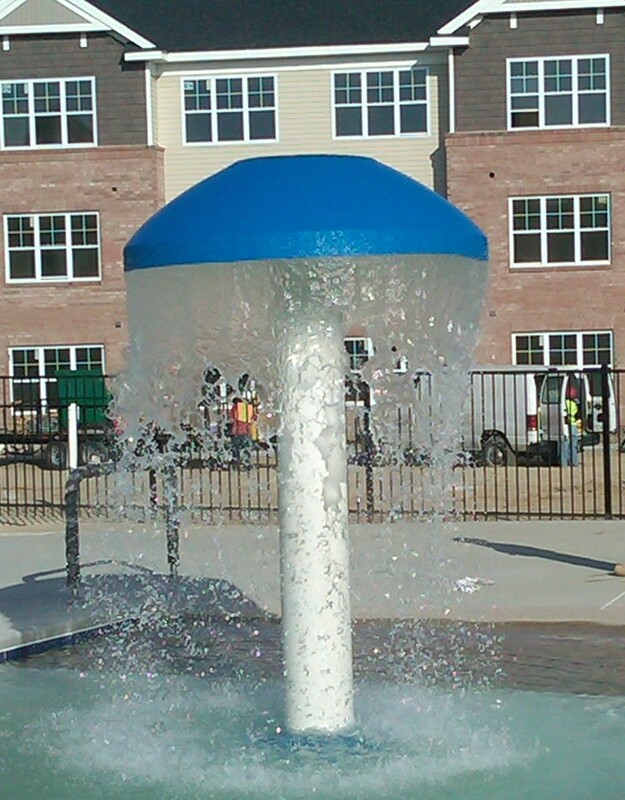 The Raintree Series adds a different element of fun to any pool project, commercial or residential. Assembly methods are available for installation in new or existing pool areas. Add the size you need to an unused portion of your backyard pool or your water park. The Raintree Series includes an 8’ diameter dome, a 5.5’ diameter dome, and now a new 4’ version. 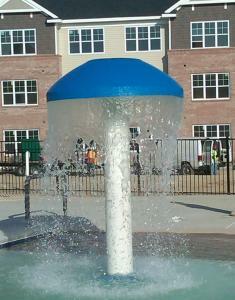 The 4’ or the 5.5’ Diameter Dome can even be added to a swim-up bar as a unique misting umbrella shade. Imagine, not only shade from the heat but misting water cooling you down, without watering down your drink. We also offer Steel Support Options for the One Piece Slide, Compression Brackets, Optional High Walls and Slide Covers.